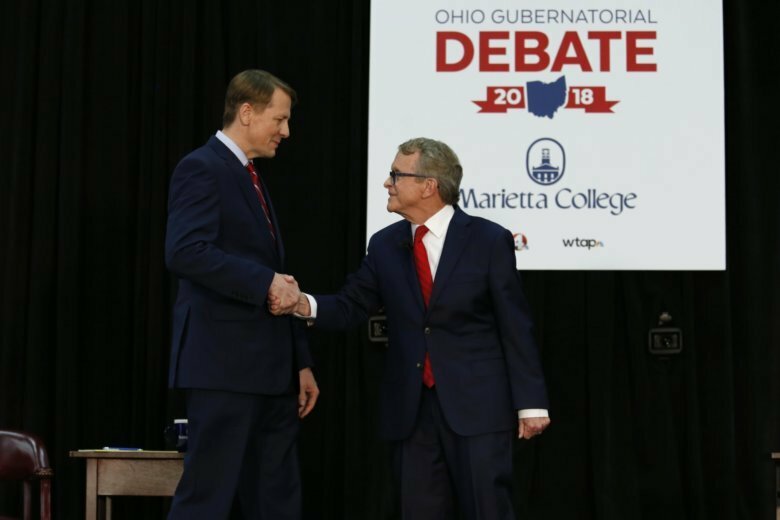 MARIETTA, Ohio (AP) — Ohio’s major party governor candidates both said Monday that they’d veto right-to-work legislation and foster a civil, bipartisan spirit in Ohio government. The two are locked in a tight, expensive race this fall to succeed Republican Gov. John Kasich, who’s term-limited. Cordray said he’d also block such a bill, aligning both candidates with Kasich, who’s held off the state’s right-to-work advocates for eight years with his opposition. Cordray, a five-time Jeopardy champion, told reporters that he also enjoyed the debate. But he made no apologies for his efforts to hold DeWine accountable for his record.